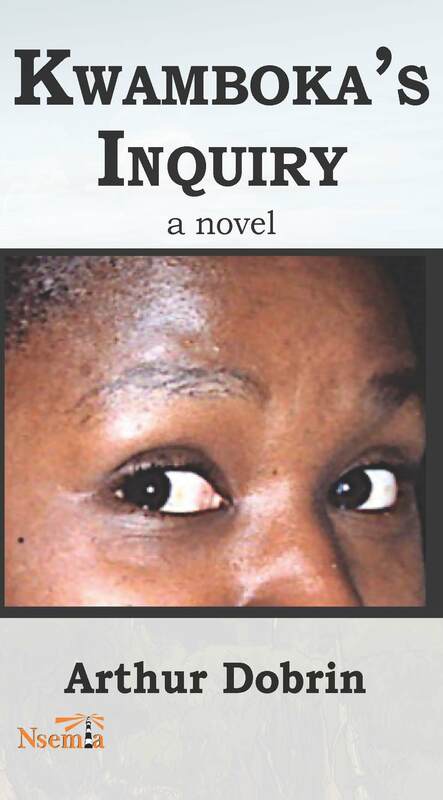 Nsemia Inc. Publishers announces the publication of Kwamboka’s Inquiry by Arthur Dobrin. Who killed Dr Sarah Kwamboka? This popular founder of a girls’ school is shot dead in her house and an inspector from Nairobi is sent to Kisii to investigate. While attempting to uncover the motive behind the brutal crime, Sgt James Dingiria discovers that Kwamboka had been collecting memoirs from the area as a way of preserving the region’s history. This novel weaves a murder mystery around short stories that reveal the history of ordinary people from this part of the country with a look at present-day Kenya. ‘’Dobrin has carefully plotted his novel with style that provides a smooth flow through short stories. It is carefully thought plot that rouses a reader’s tang!’’- Sally Boyani, Book Editor. ‘’It is a gripping story about murder, corruption, power, church politics, Colonisation and Chauvinism. The great drift of suspense in the text and the interwoven short stories make it a page turner. Well told and a must read.’’- Verah Omwocha, Book Editor. Arthur Dobrin is an American author, Professor Emeritus of Management, Entrepreneurship and General Business at Hofstra University and Leader Emeritus of the Ethical Humanist Society of Long Island. Dr. Arthur Dobrin served two years in the Peace Corps with his wife, Lyn, in Kenya. He has maintained his interest in Kenya since, having returned with his family and having led educational safaris to Kenya for Adelphi University School of Social Work. He has published two novels, a collection of short stories and a book of poems all set in Kenya. He and Lyn directed the Kenya Project, a program that provides funding for an elementary school in Kisii. Arthur Dobrin has also been a visiting scholar at Nanjing Normal University, Nanjing, China; Makerere University, Kampala, Uganda; Kisii College, Kisii, Kenya; the Gusii Technical College, Kisii, Kenya; and an exchange professor at Claflin University, in South Carolina, a historical black college.